The Leicester Language Academy Student Support Service offers professional dissertation and thesis proofreading services for undergraduate, master’s and PhD students across all academic areas. We will fix your grammar and discuss your sentence structure, so that you can submit a clearly-written piece of work that your examiner will find easy to read and assess. A thesis is usually the longest and most complex piece of formal academic or scientific writing that a student has yet attempted, and can be a significant challenge. A thesis written in English must achieve a high standard in terms of language, editorial style and formatting. Careful attention must therefore be paid to grammar, punctuation and spelling to ensure that information and ideas are communicated clearly and precisely. Our proofreading policy is to edit your written language without changing the meaning at all - this is our guarantee. By fixing all the language problems before submission, you can be confident that you will get the mark you deserve, and will be rewarded for all your hard work. All our proofreaders are native speakers of English, and are trained to pay careful attention to every detail of your language and presentation, leaving you free to concentrate on your academic content. In this way, having your work proofed by experts can result in a higher mark, because the quality of your thesis will be higher. Students who are writing an undergraduate dissertation or thesis are faced with all the challenges presented by a long research document. Proofreading can be especially useful if you do not yet feel confident about your writing skills, but if also important to those students who lack experience in following university guidelines for submitted work. If you feel that either of these cases applies to you, it might be wise to take advantage of our undergraduate dissertation proofreading services and let our professional staff help you refine your writing before you submit it for grading. Years of research, writing and tuition are invested in a PhD thesis or dissertation and is a key element of a doctoral degree. Even so, a student can still risk failure if university guidelines are not followed or the thesis contains grammar, spelling and punctuation errors. Our professional academic proof-reading team can help you minimise this risk by double-checking your writing and formatting, detailing how errors can be corrected and offering suggestions of how it might be improved, with consultation with your supervisor where appropriate. Our PhD thesis proofreading services will give you more confidence in the work you submit. 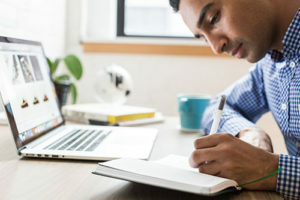 Writing a master’s dissertation or thesis requires a considerable amount of time, hard work and tuition, yet even a dissertation packed with excellent research can fail to earn the desired degree if a student does not follow university requirements of editorial style or if the dissertation contains too many grammar, spelling and punctuation errors. To avoid these problems and their consequences, we offer full academic support in a range of subjects at this level. Years of research, writing and tuition are invested in a PhD thesis or dissertation and is a key element of a doctoral degree. Even so, a student can still risk failure if university guidelines are not followed or the thesis contains grammar, spelling and punctuation errors. Our professional academic proof-reading team can help you minimise this risk by double-checking your writing and formatting, detailing how errors can be corrected and offering suggestions of how it might be improved, with consultation with your supervisor where appropriate. Our PhD thesis proofreading services will give you more confidence in the work you submit.